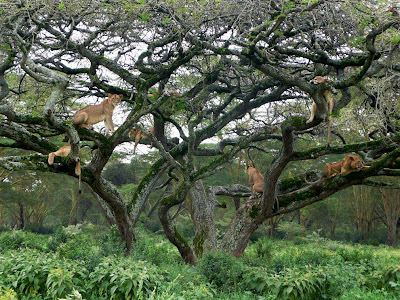 Maximizing Progress: Lions Tree ~ NatGeo Spots Amazing Pride Photo! "Taken in June this year during a game drive at Nakuru National Park in Kenya. Rounding a bend on the track I came upon not one but seven of these magnificent young lions draped across the branches of an acacia tree. Some are dozing and some are looking disdainfully at me. I was transfixed by these superb, regal creatures. What a privilege for me to have witnessed this amazing moment."